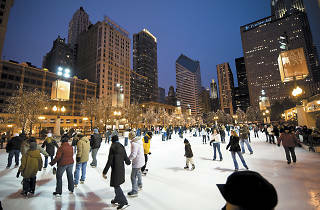 Skate under the Chicago skyline and within eyeshot of the Chicago Christmas Tree at the McCormick Tribune Ice Rink in Millennium Park. Admission to the rink is free, and you can rent skates for $13–$15. The most popular time to hit the rink is in the evening, so show up earlier if you don't feel like waiting in line for your chance to slide around. Take advantage of free skating lessons on Fridays at 11am and Saturdays and Sunday at 9am. 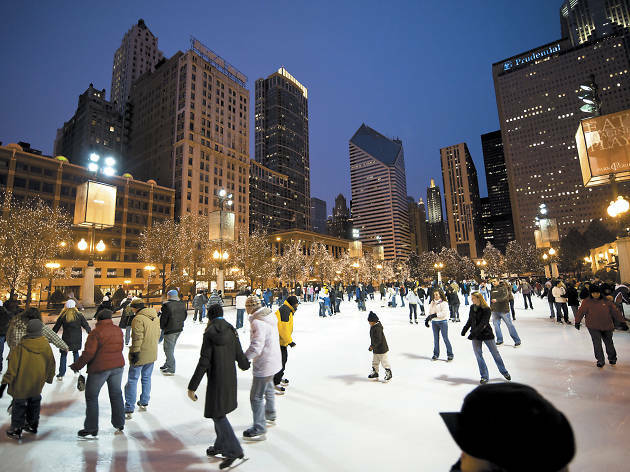 If it seems too warm to skate, call ahead—this rink is open through March 10, weather permitting.